I have recently finished a number of display and control units for pedal power demonstration systems. 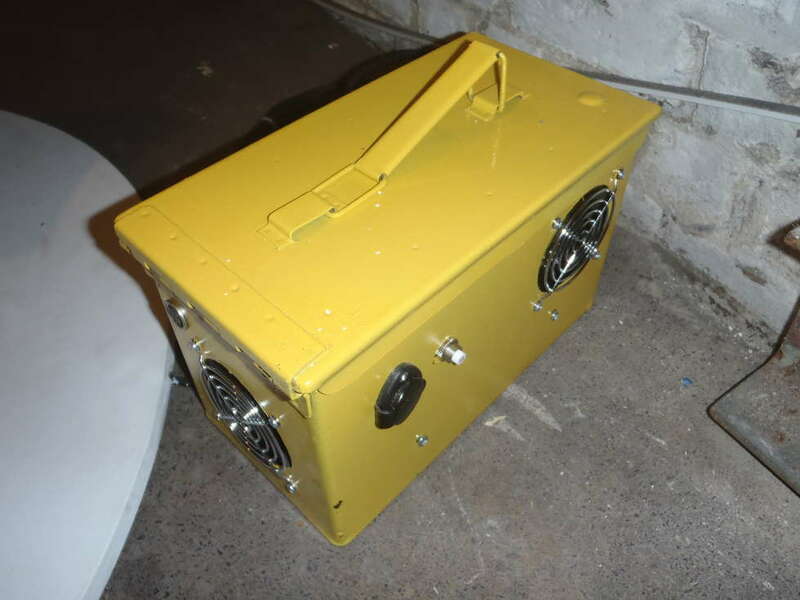 These projects have been in conjunction with Magnificent Revolution, who have been providing the actual pedal generators. These systems have been built for the Arcola Theatre, the Carbon Smart program, Magnificent Revolution and for myself. Read on for more details and a video of the units in action. 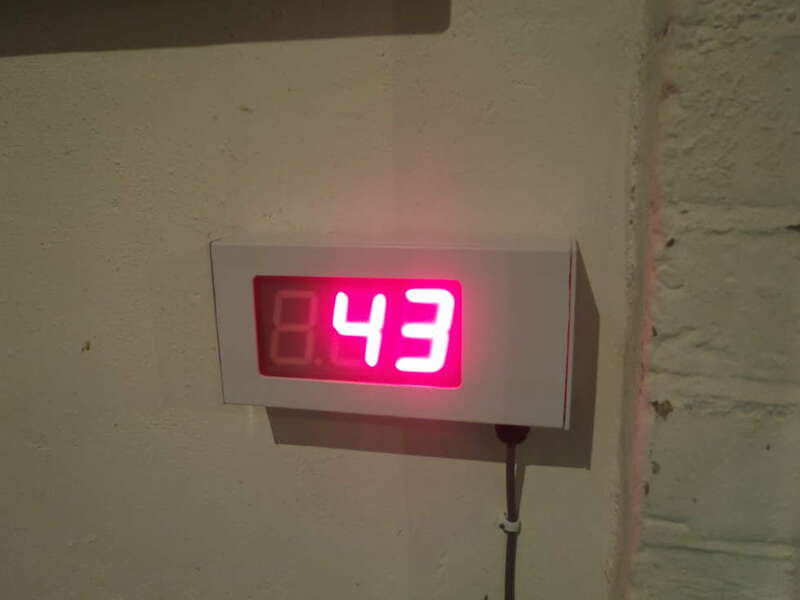 The LED bar graph display has been written up as an Instructable. It contains ten 12V dc LED clusters controlled by shift registers. The shunt control box contains 2 MOSFETs with dump load resistors and a fan to blow away the excess power as heat. The ‘brains’ is an ATmega 328 microprocessor. The code was developed using the Arduino microcontroller, but, due to the start up delay of the Arduino bootloader, the direct hex code was used. Current is measured using a hall effect sensor and the voltage using a potential divider with 5V protection using a zener diode. The microprocessor also controls the outputs for the LED displays, which use shift registers. 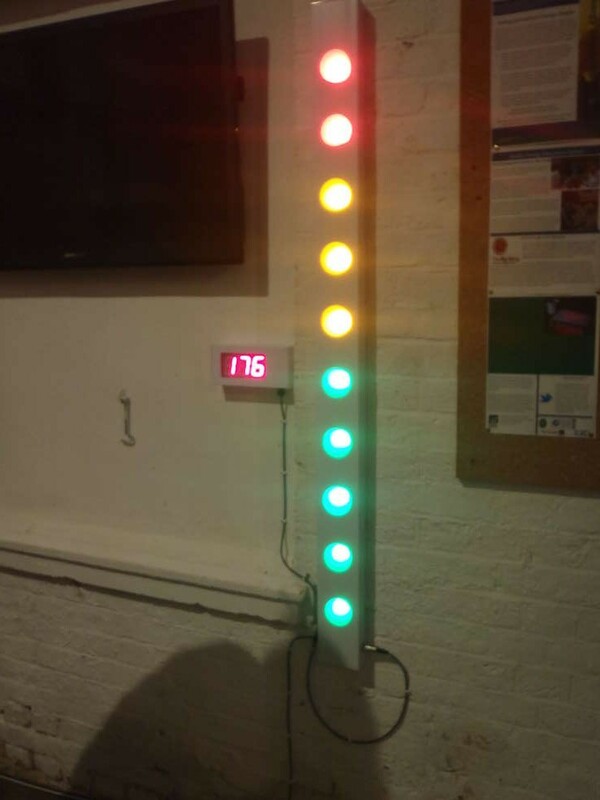 The 7 segment LED read out.segment LED displays, again controlled by a shift register. If you are interested in similar displays then please contact us and maybe we can help with your project. Great work Matt, this looks like a fantastic educational tool as well as a lot of fun. A small step towards pedal generators being used for physics classes accross the country? I hope so. Here in Sheffield we’ve plans to connect power a Rasperry Pi with pedal generator to get interactive log, just going slow atm. Would love to discuss at some point. One technical question: pedalling action seemed very start-stoppy in video – would it be possible to get a smoother spinning experience using a fly wheel or a sophisticated feedback circuit with thresholds? It looks mint either way – good on ya! Would be good to link up the data with a raspberry pi as it would then be really easy to send data via ethernet or wifi and have a huge log of all the data from all the pedal generators. Drop me a direct email if you would like to discuss more (matt_AT_re-innovation.co.uk). I’m looking at re-designing the Pedalog for a number of improvements, including data uploads. This unit was actually quite nice to ride, although one problem was that when you pushed forward on the handle bar, the belt sometimes slipped as its tension was reduced. Also you could generate quite a lot on it and when Adam starts he really goes for it, hence it seems quite hard work. Quoting Guest: Great work Matt, this looks like a fantastic educational tool as well as a lot of fun. A small step towards pedal generators being used for physics classes accross the country? I hope so. Here in Sheffield we’ve plans to connect power a Rasperry Pi with pedal generator to get interactive log, just going slow atm. Would love to discuss at some point.